Celebration of Ron's Life held on Friday at 11:00 a.m.
Ronald E. Honaker, Sr., age 67 of North Lawrence, passed away Monday evening at Massillon Community Hospital following an extended illness. 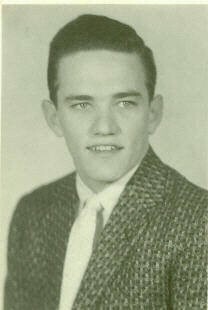 Ron was born in Hinton, WV on January 30, 1938 to the late Ohmer and Hazel (Cook) Honaker and was a resident of the Massillon area for 45 years. He was a 1955 Hinton High School Graduate. Ron retired from Republic Steel in 1995 following 39 years of service as a manager. He enjoyed wood working and building homes. In addition to his parents, he is preceded in death by; brother Billy Ray Honaker, sister Mary Helen Snuffer. Ron is survived by his wife Violet (Angell) Honaker with whom he celebrated 46 years of marriage on Feb. 2, 2005, daughter and son-in-law, Saundra and Ken Reed of Massillon, sons and daughters-in-law, Ronald and Gay Honaker, Jr. of Massillon, Dale and Stephanie Honaker of North Lawrence, brother Joe D. Honaker of WV., granddaughters, Brittany Bowen, Samantha, Ashton, Morgan and Alyssa Honaker and great granddaughter Victoria Bowen. A celebration of Ron's life will be held Friday at 11:00 AM at the Arnold-Lynch Funeral Home in Massillon with Dr. Larry Emery officiating. Calling hours will be Thursday 5 - 8 PM . Interment will follow the services at Sunset Hills Memory Gardens. In lieu of flowers, memorial contributions can be made to Stark County VNS and Hospice, 845 8th Street NE, Massillon, OH 44646.